Obtaining your interior decorating certification was no easy feat—you put in long hours, completed detailed assignments, and pursued your goals relentlessly. Now it’s time to prepare yourself for the “real world” of design, and that means working with established professionals in the industry. You’ll need to prove yourself as a serious interior decorator in order to land coveted jobs that are worthy of your talent and drive. Here are 6 helpful tips to impress interior decorators and set yourself apart as you begin your design career. Read on and take notes! While the interior decorating industry does not technically require a certification, obtaining one is a huge advantage. It will not only teach you the skills required to become a successful interior decorator—it will also set you apart from other interior decorators who don’t have certifications! 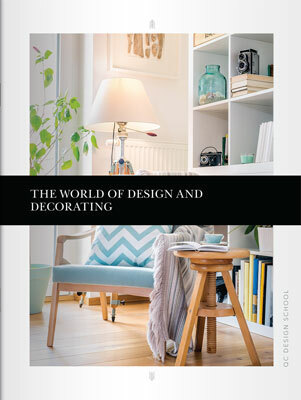 A certification from QC Design School, for example, will allow you to place IDDP (International Decorating and Design Professional) at the end of your name. This demonstrates that you have all the training and skills you need to create beautiful and comfortable homes. Professional interior decorators need to know the proper terminology of the industry in order to provide their clients with the best service. As a new interior decorator, you’ll want to increase your vocabulary to include terms used regularly by designers—for example, baluster, coffer, and dry brushing are three commonly used interior design terms you should be very familiar with. When communicating with an established interior decorator, your knowledge of design terminology will be highly impressive and demonstrate your professionalism and expertise. Rolling up your sleeves and diving into the less glamorous tasks of interior decorating will undoubtedly make professional interior decorators take notice. When it comes to painting or ripping up carpets in a home, this is often the best place for interior decorators to start. However, many newbies will start with smaller details and dread these larger, more labour-intensive projects. By demonstrating that you’re not afraid of hard work, and putting it first on your list, you’ll be building a relationship as a hard-working, savvy interior decorator in no time. As someone new to the field, it is completely normal to feel intimidated when working with successful interior decorators. Try your best to keep this feeling to yourself when working on projects—take your time to think details through, and as mentioned above, tackle the largest, most expensive tasks first. Smaller details such as lamps or window treatments can wait, although it is easy to get swept up in these fun details! Show established interior decorators that you have the true mindset of a designer, even though you’re new to the industry. Design professionals naturally expect that a new interior decorator will have many fresh ideas when it comes to home décor. And as you are a trendsetter and a people person, of course you have unique ideas—don’t be afraid to share! While the lead decorator likely has a vision for the space they’re working on, sharing your unique décor ideas for the home will show initiative, interest in the project, and expertise. Your certification will prepare you well for this type of situation, as you’ll require a good sense of style for different rooms and a feel for different trends. When meeting with a potential employer, you’ll need to be able to provide evidence that you have solved design problems in the past. This is where your portfolio comes in handy. You’ve likely worked on some rooms in your home, and if not, now is the perfect time to do so (and take photos!). Taking some before and after shots of a room that needed a face lift (or new paint job) will illustrate your skills and provide you with design experience. If you attended a design school, using some of your course work is also an excellent addition to your portfolio, as are these ideas that will beef up the showcase of your work. Now that you know how to impress interior decorators, it’s time to network! Follow this guide to networking for your interior design business! Previous PostProfessional Organizer Training: Course Sample! I have my IDDP designation but would like to get the staging designation as well, is there any discounts for this program? 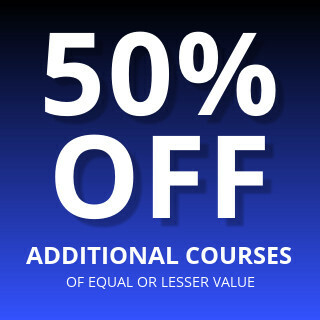 I understand the current offer but how long do you have to acquire both of these I need to get through this course quickly…the staging designation is my priority right now. Hi Nellie, thank you for your message! 🙂 From the time of enrollment, you have 3 years in which to complete our courses, so you can work at your own pace! As you are already certified as an International Decorating and Design Professional, our current offer would not apply to you, but you can certainly enroll in our Home Staging course (https://www.qcdesignschool.com/courses/home-staging/) which will certify you as an International Staging and Redesign Professional. I hope this is helpful, but please don’t hesitate to let us know if you have any further questions or would like guidance — you can email us at info@qcdesignschool.com.